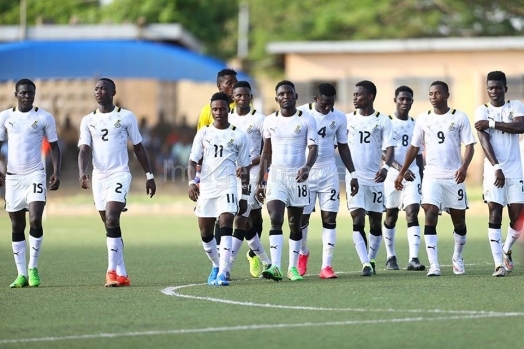 Ghana’s Black Satellites lost 1-0 to Mali on Saturday in their final Group B match of the ongoing Total U20 AFCON being played in Niger. The Satellites needed to avoid defeat to give them passage to the semi-finals of the tournament and a place in the 2019 U-20 World Cup in Poland. The first half went by without any major activity even though the Malians looked more lively than their Ghanaian opponents. However, the Malians found the breakthrough in the 53rd minute when Hadji Drame nodded home a cross from just inside Ghana’s penalty area. Ghana coach Jimmy Cobblah made changes with Saliw Babawo coming on for Enock Agyei and Ibrahim Sulley replacing Sabit Abdulai but not even these amendments could turn the tide for the Ghanaians. The result means that Ghana finishes 3rd in the group on 3 points with Senegal on 9 and Mali on 6.